I recently bored thi samsung window phone every time I want to add an application it keeps on asking for location then I must create the Microsoft account then my email address then for some reason it is unable to do what Ian looking for pls help because iam already feeling that I have wasted my money in buying this. can you push video that are posted on facebook directly to the telly like on the s3 s4 and other phones ? Ativ s is giving me hard time i can't log in to Microsoft account. I've been to vodashop twice but no success. What must i do? Does it have turn to mute? So far, I think this is the Best WP8 that can compete seriously with Lumia 920, plus it didn't copy the aesthetic look of Nokia, still a Samsung Trademark. Great job! Maaaaaybe. I have some interest in Windows Phone 8, so I might dive into this device and see what it's like. 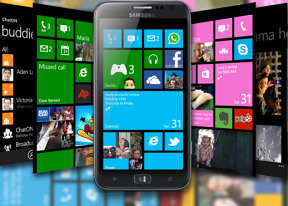 FYI,here in Indonesia Samsung Ativ S would cost almost $90 less than HTC Windows Phone 8X and $160 less than Nokia Lumia 920, as its excatly the same price with Nokia Lumia 820.
dsantacruz, 07 Nov 2012Lumia 920 is clearly better!I think not. No one needs the optical image stabilization, unless they have shaky hands. The display sounds cool. The satnav stuff is kinda useful, but most people I know use their car satnav, or buy something like a Garmin or a TomTom. The replaceable battery solves any issues with battery life. The sd slot is very useful. The weight of the Nokia meant that you needed to hold it with two hands (and I mean it, as when I held my friend's 920, it felt like it weighed a lot, being close to 200g). TheAgent, 31 Oct 2012I wonder what phone you had before the Radar. I suspect it was yet another Android, and you di... moreWell my phone OS before i'm using Lumia 710 is Android, and i'm totally in love with WP and don't want to go back to use Android. So i think it's just a matter of personal preference. Where is this phone and why won't they bring it to the US? This phone would have done quite well. photu, 01 Nov 2012actualy 920 is second best after iphone5on what?